Enjoy the natural beauty of the Catalina Mountains with a trip to the Loews Ventana Canyon Resort, and when booking your stay across WhataHotel! receive Exclusive Complimentary Perks for an incredible deal. 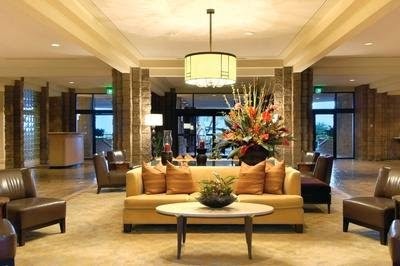 Loews Ventana Canyon Resort is one of the Best Hotels in Tuscon and tempts guests with luxurious resort accommodations, amazing service and impressive amenities. Travel to America's Southwest and get ready to experience Mother Nature's awe-inspiring landscape. Ventana means "window" in Spanish and Loews Ventana Canyon Resort was given this name because it is said to be the window to the soul of the Sonaran desert. 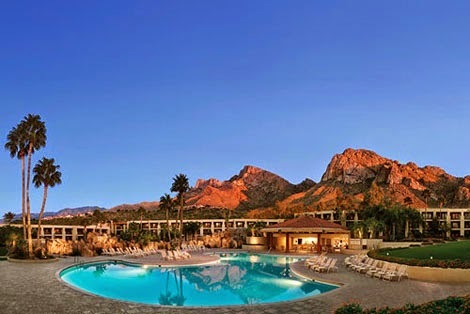 Tucked away in the foothills of the Catalina Mountains sits this glorious resort. 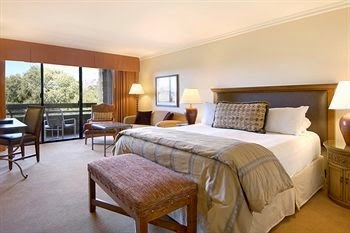 398 guestrooms, 26 of them luxury suites, promise spectacular views from the private balconies, and comfortable yet stylish accommodations, for an exemplary stay. Guests can relax and rejuvenate at the Lakeside Spa which offers up an award-winning 7,000 sq ft of fantastic facilities, enjoy their time at the four tennis courts or the well-equipped fitness center. This resort also features two Tom Fazio designed championship golf courses, two signature pools with Jacuzzis, an exciting kids club, 6 retail shops and loads of recreational activities. The dining options at this lovely locale are just as spectacular at the resort itself. Savor tableside guacamole at The Flying V Bar & Cascade, Sunday Brunch at the famed Blues, Brews & BBQ, lounge by the pool and enjoy food and beverages from Bill's Grill or hit the Canyon Cafe for a light but delicious lunch. 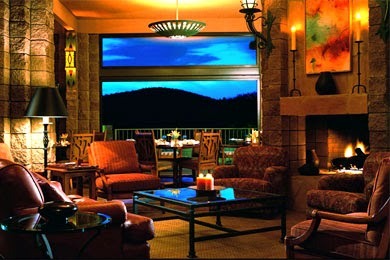 Discover ultimate comfort and exciting elegance at the extraordinary Loews Ventana Canyon Resort. Exclusive Complimentary Perks can be found when booking your stay at the grand Loews Ventana Canyon Resort across WhataHotel!. These amazing perks include available upgrades at booking, a full American breakfast for 2 each day and options for an early check-in or late check-out. Gaze at the stars that light up the nights sky, sit back and relax while taking in the stunning scenery that surrounds this resort or hit the hiking trails for a nature walk not to be missed, Loews Ventana Canyon Resort has a little bit of everything to ensure a fantastic visit for all that visit.